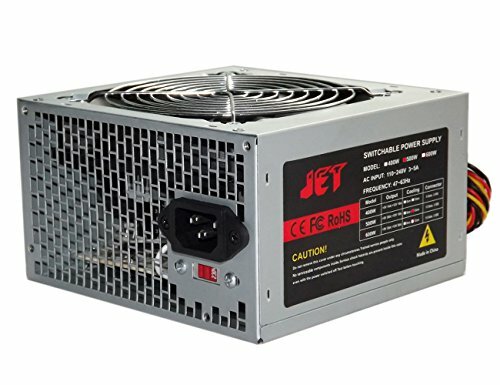 Premium Professional Duplicator Power Supply 500 Watt (13 SATA + 2 IDE) 12cm X 12cm Cooling Fan Designed for 11 Targets CD DVD Blu-ray Duplicator Tower Case 115v/230v Input Switchable. --Note: This power supply is for use on professional Duplicator tower, not for use on personal computer. Power Output Capacity: 500 Watt. Strong Ventilation: Cooling Fan Size 12cmX12cm. Professionally designed for CD/DVD/Bluray Duplicator Tower Cases of 11 Targets (13 Bay). 13 SATA Connectors and 2 IDE (Molex) Connectors.